For this card, I embossed the Avery Elle bouquet twice onto Pool Party card stock. Supplies: Stamps – Avery Elle, Papertrey Ink, paper – Neenah Classic Crest Solar White, Stampin’ Up! Night of Navy, Pool Party, inks – VersaFine Smokey Gray, VersaMark, embossing powders – Stampin’ Up! Silver Detail, Sterling Silver. 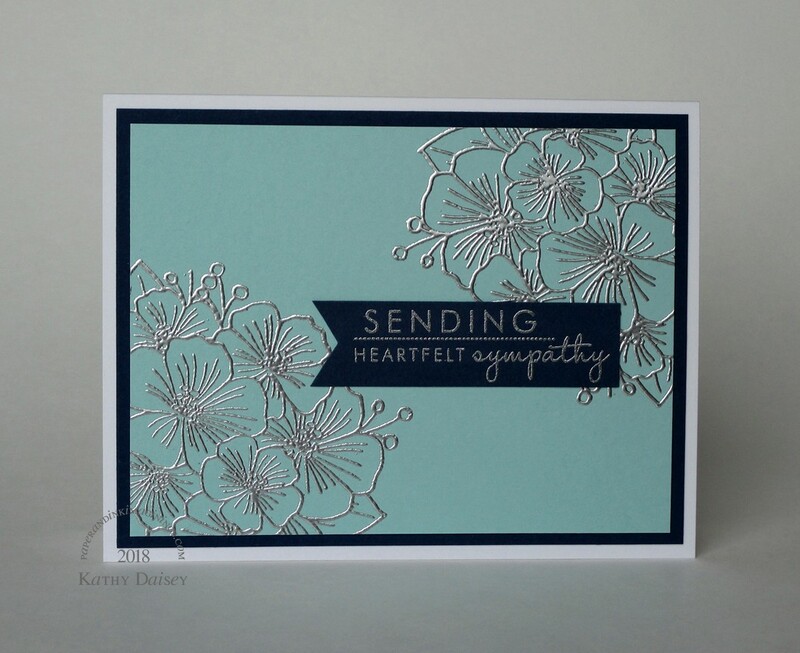 Categories: card, sympathy | Tags: Avery Elle, card, Neenah, Papertrey Ink, Stampin' Up!, Tsukineko, VersaFine, VersaMark | Permalink. This is really pretty. I love the silver.